Let’s be honest, I’m going to buy this someday soon. 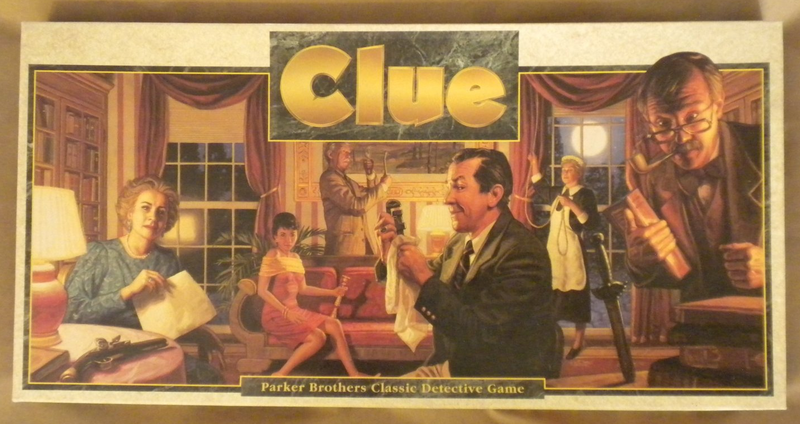 The 1992 version of Clue is clearly the best. It has the best cover art, and it’s the version played as a kid. Case closed. I don’t remember playing with any one particular character. I do remember the little plastic rope piece vividly.